Leaves cheeks blushed or tanned. 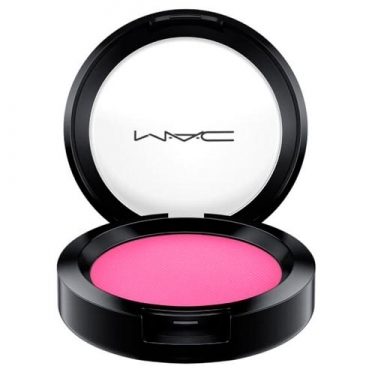 DESCRIPTION: Powder Blush Small from M.A.C. is a vibrant blush now in a smaller and more convenient packaging. Apply evenly, sticking lightly to the skin for a vividly clear and clean color shine that stays all day.